This conference archive is being built over the months of November and December of 2015. Archived video streams of these main sessions and workshops will be put into place in order that you can have a “virtual conference experience” that you can watch again and share with others. One of the most requested resources has been the presentation that David Newman has put together called – “Our Story – The Christian Mission of the YMCA”. These links below include a streamed version of David Newman presenting the material earlier this year along with three different formats (PDF, Powerpoint, Keynote) available for download. Rarely are the terms hilarious storyteller and theological scholar used in the same sentence, much less used to describe the same person, but Lisa Harper is anything but stereotypical! Lisa has been lauded as a gifted communicator and best-selling author with a style that combines sound scriptural exposition with easy-to-relate to anecdotes and comedic wit. Jim Morgan Executive Chairman of the Board, Krispy Kreme, Inc.
Jim has more than 40 years of business experience, including serving as Chairman of the Board of Krispy Kreme since 2005. Jim’s commitment to youth and education through many civic and charitable organizations, including 45 years as a Sunday School teacher, has given him leadership expertise that transcends the corporate business world. James serves as Senior Vice President of Leadership Development for the YMCA of the Triangle and as the Pastor of Christ our King Community Church in Raleigh. Before moving to Raleigh he served with Campus Crusade for Christ for 19 years. James is a gifted communicator with a passion to develop leaders that can influence lasting cultural change. Come discover four basic models of mission emphasis within a YMCA, who dive each model and what effective programming works with each. Working together these models can become a culture of spiritual engagement and Christian principles. 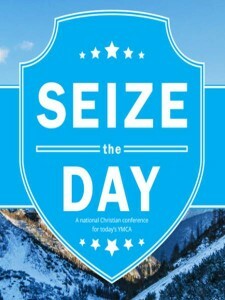 Calling all YMCA Leaders: It’s all about the Mission! This session will deepen your understanding of the power in the YMCA Mission and encourage you to answer the call of leadership. When Mission is personal you achieve results. Passionate about the collective impact model, we will discuss how it can be adapted at both the community and state level to maximize efficiency and drive partnership outcomes, while protecting the autonomy of the “C” in the Y mission. Hear the perspective of a YMCA CEO on why and how this important position was started within the YMCA of Greater Indianapolis. Learn about the role of a YMCA Mission Emphasis Director and hear some practical ideas that you can implement. Friends have stories worth discovering. God has a story for them and we have our own story. This workshop will explore how authentic relationships work through the overlaps of these three stories to bring about God glorifying transformational change. Kevin will share the story of his friendship with former Portland Mayor Sam Adams, the first openly gay mayor of a top 30 US city. He will discuss his relationship with the LGBTQ community and how they found common ground around the good of the city. We are called to serve. Imagine collaboration among civic, corporate and church leaders. Learn how people of faith are partnering with people of good will to do great things in their communities, fulfilling our commitment to diversity and inclusion.. Following fifty years of work with the YMCAs in the early 1990s, John R. Mott summed up all he’d learned in 15 basic statements for success in life and work. Rediscover his practical leadership lessons which are still applicable for today. More than just a gym, the YMCA is a global mission movement. Learn about opportunities for your Y to pursue global mission, partner wit the local church, engage the Diversity, Inclusion, and global emphasis, and collaborate with YMCA World Service. This session will help you learn how to start a small group and will feature resources to execute groups in your local y. Featured resources in the following categories: Healthy Spirit, Mind, and Body, Leadership Health, parenting, and Financial Health. What if you suddenly found yourself adrift at sea – lost? Mission Drift within the YMCA can have a deep impact on your effectiveness. This session will help prevent mission drift and refocus the mission of the YMCA within the communities you serve. Learn strategic and effective ways to gracefully share and serve Christ in your Y. Change starts from within! Spiritual growth for your staff is essential to changing the Christian Emphasis in your Y as all staff begin to see their work as a ministry. When you lead with purpose you stimulate growth and inspire success by building deep, trusting relationships. Ford will bring together the building blocks of transformation and show how to build teams that experience exponential growth and success. Whether you knew it or not, there is a FITT recipe for effective healthy, impacting the benefits of what we do for exercise. Our faith is the same – without FITT, our faith can become out of shape. An eclectic mix of short format videos and outtakes.